I’ve been busy getting things settled for another show and event in Florida in January. First the new show. 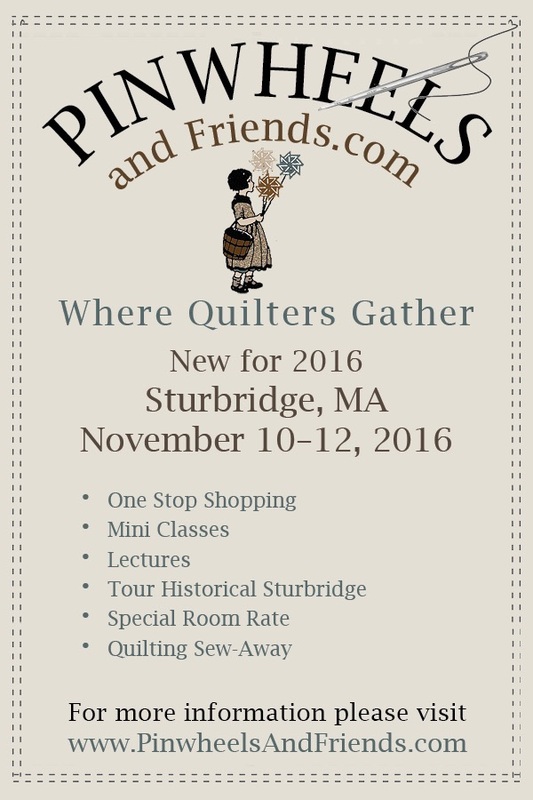 I’ll be vending and teaching mini classes at a new show in Sturbridge, MA in November! All the information can be found on Pinwheels and Friends website. A little plug for my classes…one by machine…Brilliant Bindings by Machine in which you will walk away from class with a bound Journal cover (complete with journal included)!! All for only $10!!!! Doesn’t get any better than that for instruction and kit! Next a hands-on hand piecing class of piecing on a muslin foundation. In this class you will work on a Tiny World. All instruction, house and tree foundation, fabrics are also included in the kit also for only $10!! You just can’t beat that! Other vendors will also be instructors, so check out the options and sign up early. They will sell out early. 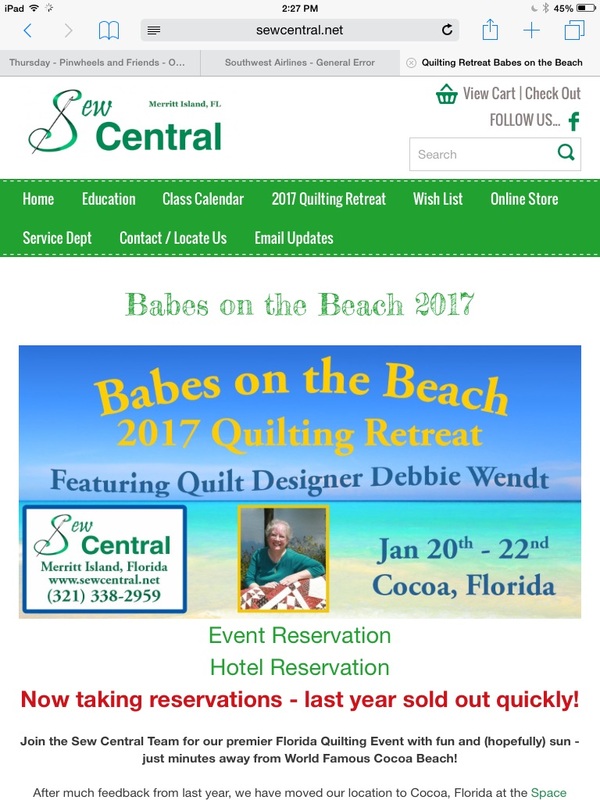 For my Florida trip…I am the featured teacher for a retreat put on by Sew Central of Merritt Island, FL!!!!! Check out the website for all the information! (Sewcentral.net). Babes on the Beach is going to be a blast! Who doesn’t want to be in sunny central Florida on the coast in January?!? And with me and a room full of quilters making one of my patterns?! 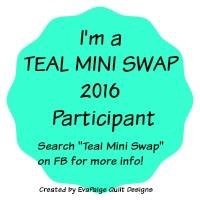 I did something for myself a couple weeks ago…I joined Beth Helfter’s (Eva Paige Designs) Teal Mini Swap 2016. I will be making a teal mini for my new quilting friend, Katie, in Kansas! The swap raises funds for Ovarian Cancer Research Fund. There is only a few days left to join (Aug.29) and it will be capped at 425 swappers. She is currently at 377!!! So hurry and register if you are interested, or look for it next year. #1- What have hat have you done for yourself lately? Join the fun of a show, retreat, getaway or swap. I love planning, but I’m not so good at finishing. So I’m saying this out loud…”I will finish at least one UFO by the time I write to you next week!” There I said it, now to get my buns in gear! #2- make a commitment to finish something! Even if it is to put a label on a quilt! This entry was posted in Quilt shows, Tips, Uncategorized. Bookmark the permalink.